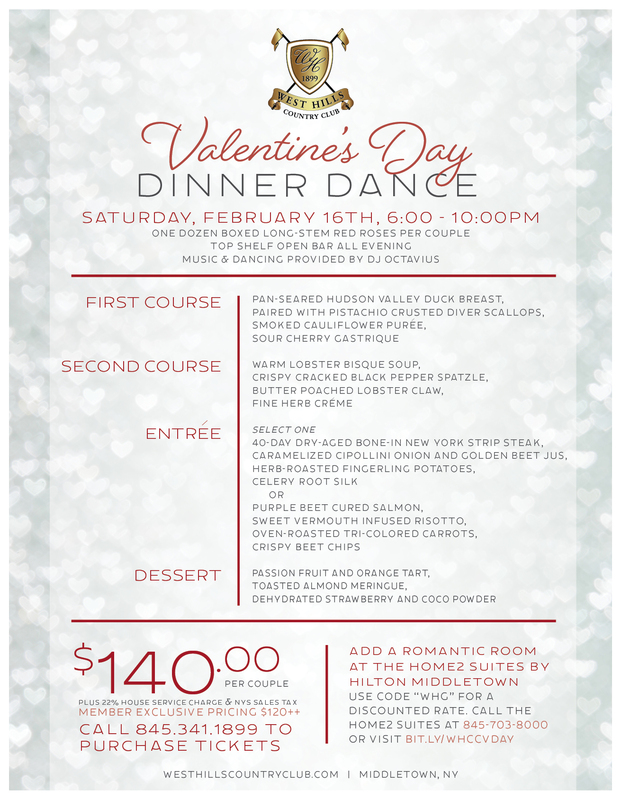 Join Us Saturday, February 16th, 6:00 – 10:00pm for a romantic evening overlooking our picturesque golf course. Each couple will receive One Dozen Boxed Long-Stem Red Roses, Top Shelf Open Bar all Evening and Music & Dancing Provided by DJ Octavius. Use code “WHG” for a discounted rate.